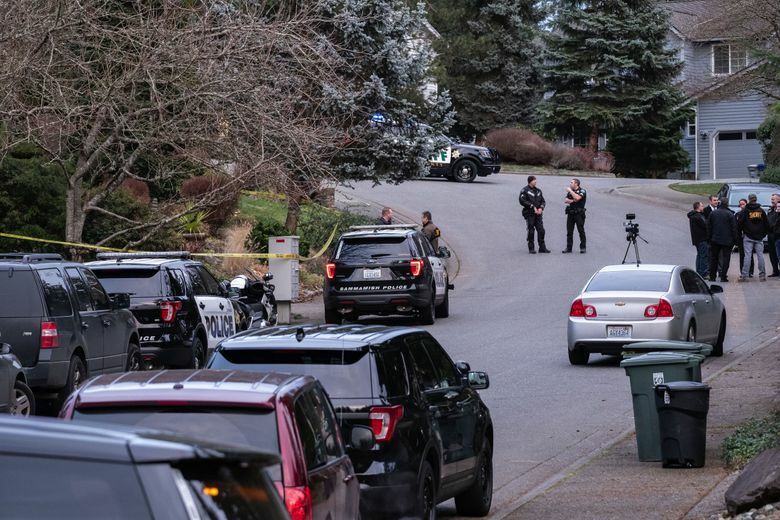 Three people whose bodies were found in a Sammamish home Tuesday afternoon likely died in a homicide-suicide, the King County Sheriff’s Office says. 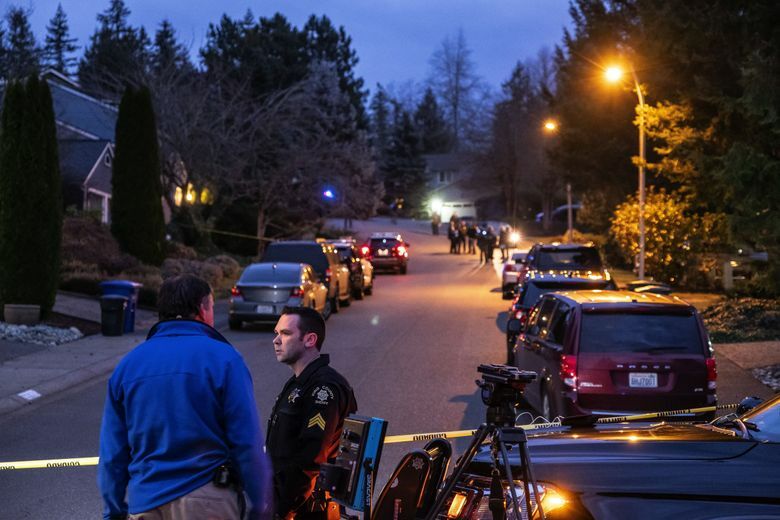 Deputies found an elderly man and woman and a man in his 30s dead with gunshot wounds in the home in a cul-de-sac in the 23900 block of Southeast 42nd Place, which is in the Klahanie neighborhood, according to sheriff’s spokesman Sgt. Ryan Abbott. Deputies do not believe there are any outstanding suspects. Abbott said a gun was recovered at the scene. It wasn’t immediately clear which of the three is believed to be the killer. At 5:15 p.m. Tuesday, sheriff’s deputies were waiting for a search warrant to be signed so they could enter the home. Deputies found the bodies while they were performing a welfare check after a relative from Oregon said they were unable to reach family members, Abbott said. 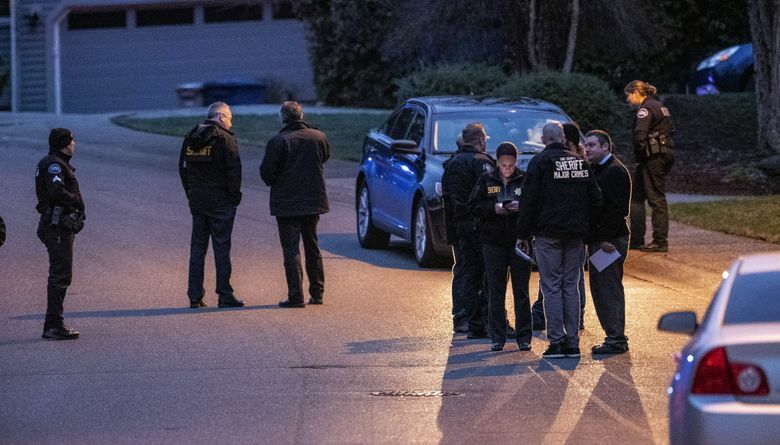 The identities of the three people will be released by the King County Medical Examiner, likely on Wednesday, Abbott said. Seattle Times staff reporters Sara Jean Green and Lewis Kamb and news researcher Miyoko Wolfe contributed to this report.